HYDERABAD: Even as we celebrate women and talk of their multiple roles including that of a mother, we also need to acknowledge how men are adapting to the changing role of the dad. Today’s fathers aren’t just defined as a breadwinner or by their professional credentials, they are now a part of every phase of their kid’s life. From quitting to smoking/drinking to desiring to stay at home, fathers have come a long way in India. The new term collectively used for this new breed of dad is Penguin Dads, borrowing from the concept from Emperor penguins. To understand the rise of penguin dads, e-commerce firm Flipkart has carried out a pan-India survey asking dads how they have progressed post fatherhood. An online survey finding by Flipkart in partnership with Markelytics Solutions India Pvt. Ltd shows that Hyderabad dads love spending time with their family. Hyderabad dads also like to engage their kids in common activities like walking and movies. “Penguin Dads” - The typical Indian family is full of stereotypes. From the time a child wakes up in the morning, the mother is involved in almost all activities such as getting kids ready for school, feeding them, cooking, cleaning, sitting with kids for evening studies, and eventually putting the child to sleep. With India’s economy and people prospering in recent decades, however, the Indian family has reformed in novel ways. Flipkart conducted a survey to study this change in society and discovered the rise of “Penguin Dads” in India. The “Penguin Dads” - They are the antithesis of the archetypal Indian Dad, challenging and breaking stereotypes about who does what in the family. They represent the progressive change in the fatherhood narrative in India. 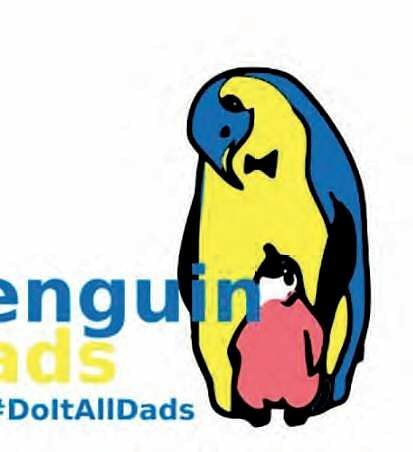 What do “Penguin Dads” do? An increasing number of dads today are engaged in raising their kids, as they are in sharing household chores. They change nappies, braid hair, take kids to school, and put them to bed – many doing it without any help from Moms. There aren’t many examples of a more dedicated father on earth than the male penguin. The flightless birds raise their new-borns single-handedly, just as female tigers nurture and protect their cubs. So, if “Tiger Mom” was the face of the Indian family, “Penguin Dad” is its new reality. Why do “Penguin Dads” do what they do? - Penguin Dads are not super-dads. They’re just the regular Dad taking an active interest in his child’s life, driven by the motivation to be seen as a friend to their child. 84% Hyderabad dads attend their kid’s school functions.